Born 4/24/06 and measuring 28" this boy is sure to do great things. His sire is Reserve National Champion, Gross Hills Undisputed Creation! Clyde gets greatness from his dam RFM Booger Toos Cover Girl also. She is a top producing daughter of National Champion Grosshills Ima Booger Too. Presented and Trained by James Walsh of RHA Training Stables. 2007 AMHA World Top 5 (3rd). 2008 AMHA World Top 10 2yr stallion. 2009 AMHA World Top 10 senior stallion in both open and amateur. 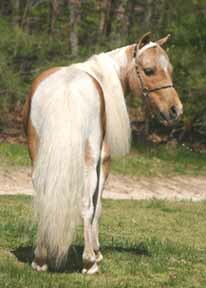 2009 AMHR National Champion. Not For Sale! 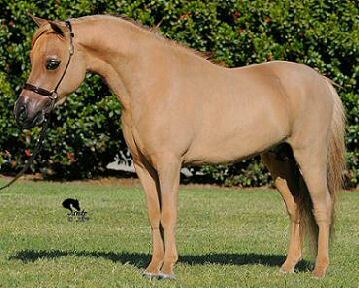 2003 direct son of Sierra Dawn's Uno's Monarch, a National Champion stallion. He is a handsome boy with unique facial markings and a partial blue eye. AMHA and AMHR registered and measures an honest 34". 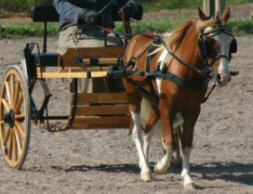 He has been professionally trained to drive and has had 2 years previous show experience in driving (mainly ADS shows). Matty also loves to jump and is happiest when he has a job. 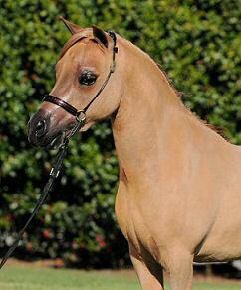 He sired a beautiful filly this year whose pictures will be on the foal page soon. 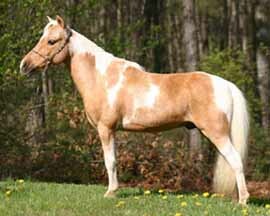 Integrity is a 32" big moving golden palomino pinto stallion born in 1999. AMHA and AMHR registered. 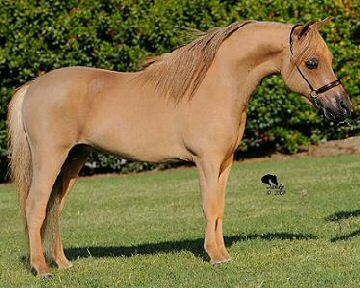 He is by National Grand Champion halter and driving horse Sierra Dawn Uno de Mayo, a leading futurity sire and sire of many national champions. 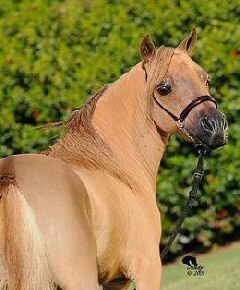 Integrity was successfully shown in halter as a 2 yr old. 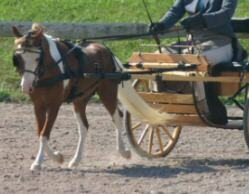 He continued to be a success as a driving horse and was multiple top ten at the western regional championships. 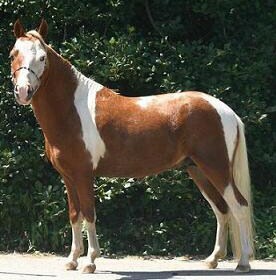 Integrity was 2005 Top 10 Honor Roll Country Pleasure horse in 32" and under and 2006 AMHA World National Top 10 in Open Country Pleasure. 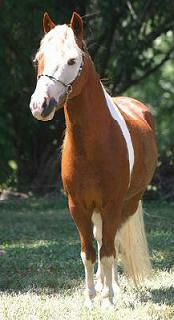 Born April 2004, Rookie is an AMHA and AMHR registered gelding. 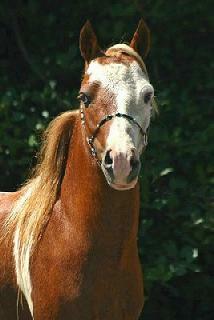 His bloodlines include Winners Circle Adonis and he traces back to Rowdy. He is Mister Personality! If you like the little one's take a look at Flash. 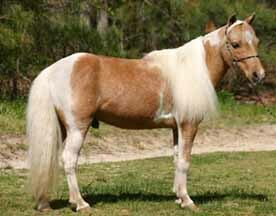 He is a sweet gelding who was born March, 2004 and measures only 27 3/4". 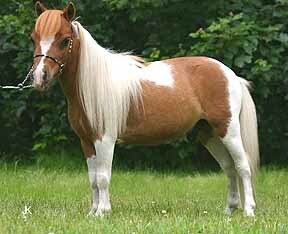 He is a direct son of Vermilyea Farms Toy Snapshot, a two-time National Top 10 stallion. AMHA and AMHR registered. Not for sale.